Fragrant ground cover can give off an aromatic scent when its leaves are lightly crushed underfoot or brushed against at the edge of a border, or it can offer fragrant flowers in garden beds and borders. Ground cover plants spread over bare soil, shading out weeds and providing a visual link between plants or different areas of the garden. 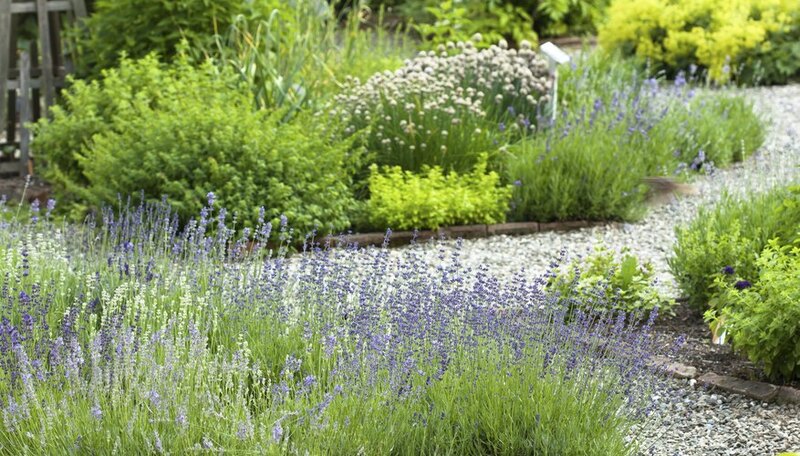 Select plants that best fit the intended purpose, such as low-growing varieties with fragrant leaves for spaces between stepping stones or at border edges or long-blooming cultivars to provide scent over the growing season. Stepping on ground cover growing on or near garden footpaths is unavoidable. Select low-growing ground cover with tough, aromatic stems and leaves for these areas. 'Magic Carpet' creeping thyme (Thymus serpyllum 'Magic Carpet') withstands light foot traffic when the plants are established. Hardy in U.S. Department of Agriculture plant hardiness zones 3 through 10, 'Magic Carpet' grows 1 to 2 inches tall and 12 to 15 inches wide and offer magenta-pink blooms late spring through summer. Its leaves are silver-green and emit a lemony fragrance. Chamomile (Chamaemelum nobile) also tolerates a little foot traffic. Chamomile foliage is finely dissected and fernlike, and when it's bruised it gives off a fruity aroma. Yellow-centered, white daisylike flowers appear summer through fall. 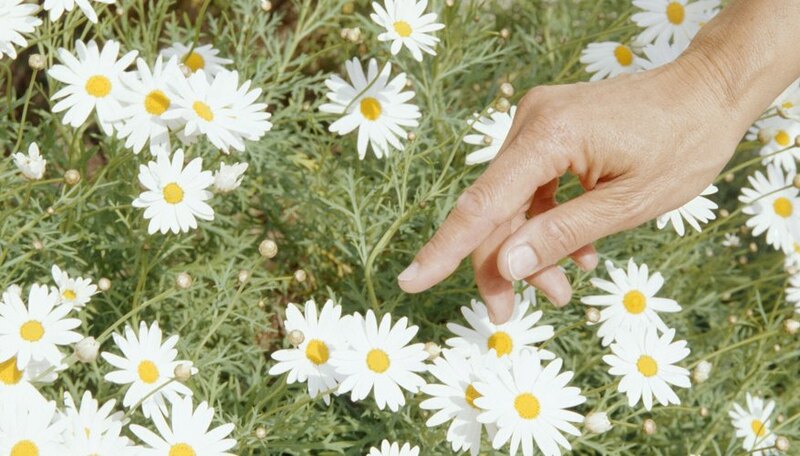 Growing 3 to 6 inches tall and 6 to 12 inches wide, chamomile is hardy in USDA zones 4 through 9. Select this plant if you'd like to create a small, flowering lawnlike area that won't be stepped on frequently. To provide reliable, long-lasting fragrance in your garden, grow ground cover that features scented blooms over the growing season. Shrub rose 'Chewground' (Rosa 'Chewground' Oso Easy Fragrant Spreader) bears yellow-centered, pink- and white-petaled flowers late spring through fall. 'Chewground' grows 1 to 2 feet tall and 4 to 5 feet wide. Select this ground cover for growing between taller shrubs and perennials in garden beds and borders. Calamint 'Montrose White' (Calamintha nepeta 'Montrose White') bears its tiny, white, scented flowers early summer through fall and offers leaves that are fragrant when crushed. 'Montrose White' grows 1 to 1 1/2 feet tall and wide. This ground cover features long-lasting scent and can be grown at border edges, where brushing against its leaves releases their aroma. 'Chewground' and 'Montrose White' are hardy in USDA zones 5 through 9.
Who has never been tempted to crush leaves in an herb garden and sniff the scent? Herb garden ground cover provides fragrant leaves to enjoy while picking herbs. Lemon thyme (Thymus x citriodorus) grows 6 to 10 inches tall and 8 to 12 inches wide and is hardy in USDA zones 4 through 10. Named for the scent of its deep green, evergreen foliage, lemon thyme also offers tiny pale pink or purple summer flowers. Italian oregano (Origanum vulgare) features soft, green, fragrant leaves and tiny, rose-pink summer blooms. Hardy in USDA zones 6 through 10, Italian oregano grows 1 to 3 feet tall and 1 1/2 to 2 feet wide. Select lemon thyme and Italian oregano for dotting among your other herbs or in your ornamental beds for fragrance when harvesting leaves or flowers. Plants growing in large containers benefit from ground cover, and you can enjoy the scent of fragrant ground cover in pots near doorways, on patios or in other garden seating areas. Verbena 'Seabrook's Lavender' (Verbena 'Sealav') bears clusters of small, scented, lavender blooms spring through fall. Growing up to 16 inches tall and 30 inches wide, 'Seabrook's Lavender' is hardy in USDA zones 8 through 10 and grows well in window boxes, containers and hanging baskets. 'Etain' violet (Viola cornuta 'Etain') grows 6 to 8 inches tall and 10 to 12 inches wide and is hardy in USDA zones 4 through 9. 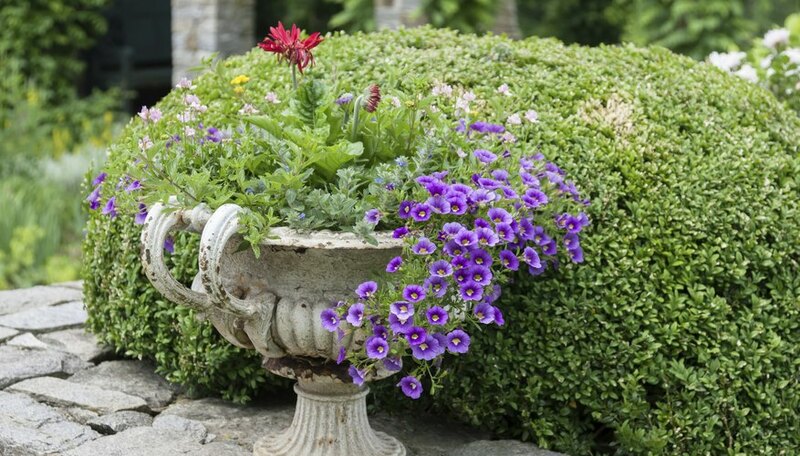 Offering many-colored scented spring flowers that also appear occasionally summer through fall, 'Etain' quickly spreads to fill containers.